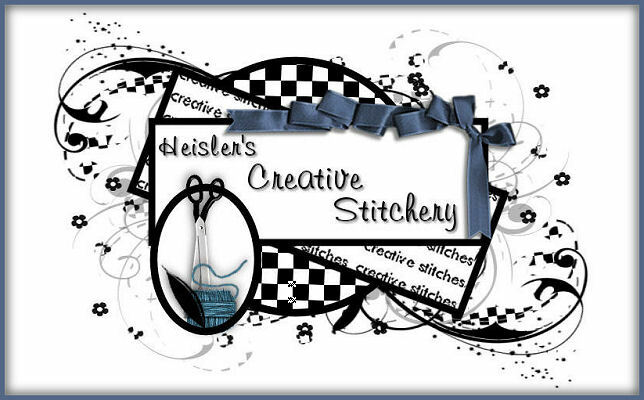 Heisler's Creative Stitchery: It's a New Year and I'm still Sick! It's a New Year and I'm still Sick! Wow! It's been so long since I last posted. I lost a filling before Thanksgiving, got the stomach flu at the beginning of Dec, a week later went to get the cap on my tooth I needed and ended up getting a cold from the dental assistant. 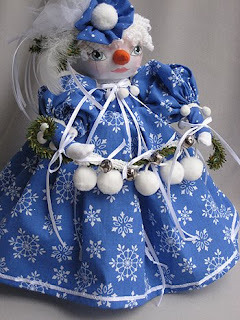 The regular flu arrived a few days after Christams to add to the cold. I'm still fighting the cold, one day I'll feel like it's going away and then the next day I'm back to coughing and blowing my nose. 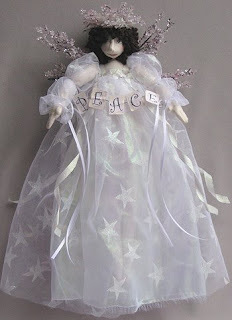 I did get a few things finished in Dec. like this angel and the other dolls I posted here, but I never did finish 3 santa elves, a snowman and a candy witch. 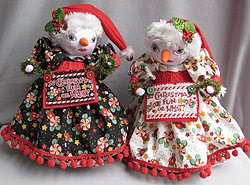 I've just packed them away with the 2 halloween dolls I didn't finish to get to in the summer or fall. I thought about closing my ebay store for 2 months but I was so sick on Dec. 31 I never got to it so I decded to keep it open this month and close it next for a month so I can make some changes. I also thought about closing my Patternmart account as not much sells there but after going over my sales I decided to stick it out so I could keep the links to the download PDF files on my site. 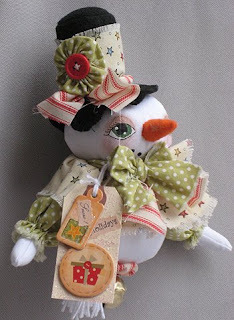 I've been doing a bit of work at the esty store. 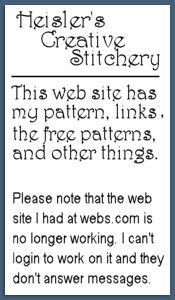 I'm adding the pdf patterns that are too large for patternmart. Found a new place to sell, http://www.bonanazle.com/ . I'll be putting more things there as I end listings at ebay. 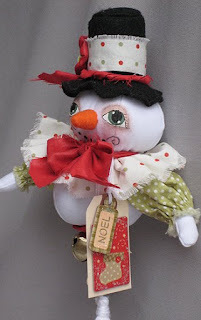 I'm creativestitches there as I thought it best to stay with the same name as ebay and etsy.